For guitarists, living in a world where you constantly have access to a huge amp is a dream, and not a realistic one. Putting up with one of the best mini amps or pocket amps might have to do, but considering the progress made in the world of amplification and electronics in recent years, that might not be a bad thing. When we dream of playing guitar solos or spend years honing our skills on guitar, not many of us dream of the opportunity of playing a mini amp, but in terms of being functional, it is worth having on in your arsenal. 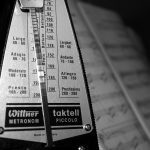 As well as being useful for guitarists, some other electric instruments (pianos, even violins) can make use of miniature amplifiers. Playing somewhere power is not easily available (many can be battery powered). Being able to clip your amp onto your person and have it move around with you! Being able to play electric guitar just about anywhere. Practicing (or getting the kids to practice) without making a crazy amount of noise or taking up too much space. Not having to take a big amp to band practices. The top miniature amps are usually made by the same audio brands we already know and love, they’re basically the little brothers and sisters of the iconic amps we see on stage over and over. Make no mistake, anyone wanting to record a hit album with one of these should definitely use a big amp instead, but that doesn’t mean that a mini amp doesn’t serve a purpose, it totally does! Most of the models in question are 1-5 watts of power, with some going up to 10 watts. It doesn’t sound like much, especially if you’re used to using massive power from an amp at home, on stage or in the studio, but you might find yourself surprised at the volume some of these amps can provide. You’re not going to play a stadium gig with one, but for things like busking and jamming with friends they are perfect. 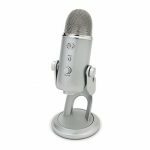 Another benefit is that a lot of these models can take the input of another media device such as iPod or MP3 player, meaning you can play your favorite tracks to your friends and use it as a conventional speaker. So we’ve established the use of a miniature amp, and that they’re a tool worth having in your guitar bag, but what are the criteria for a good model? We’ve got lots of mini amp reviews below as we have trawled through what is currently on the market, and looked at different price ranges such as the under $100 mark and the under $50 mark. There are some constant features and attributes we are looking for and that you should definitely be considering when buying an amp. Batteries and Power. There are a few different things to think about in terms of power. Can it be plugged into the mains? How long do batteries last? What sort of batteries can it take? The best models arguably have the ability to be plugged into the mains power but also take some mainstream batteries, and make the most of the power, lasting for a long time. The sound. Of course the most important thing, the quality, clarity and loudness of the sound. This will depend on how well made the amp is, the parts and of course the manufacturer. Inputs. Can this take an input from devices other than just a guitar and a 1/4 inch jack? 1/8 inch inputs are really useful for playing other media types. Controls. Some of the models will give you control over EQ and allow you to boost or cut the bass, mids and trebles, which is a bonus for those who want more control over the sound coming out of the amp. Durability. As with any product which will likely be taken out and about and used ‘on the go’ you want something that is durable and not flimsy or easy to break. Reviews. The proof is in the pudding, as the old saying goes. If you read the reviews both here on Subreel, elsewhere on the internet or from the consumers who buy on amazon or elsewhere, you want them to be positive. 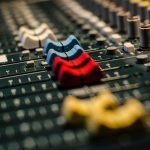 If a load of people are saying that the product breaks easily or doesn’t sound good, then the chances are it isn’t worth your time. Price. This is always going to play a part, if you’re on a budget of under $50, you need to work within that. The models reviewed below are, in our opinion, the best value for money when it comes to mini guitar amps. Cool, retro design coming in multiple colors. Clips onto your belt, great for busking, practice and more. Has an overdrive control for distorted and overdriven guitar tones. Comes with a headphone jack. Powered by a 9 volt battery but can also be plugged into mains power with an adaptor. 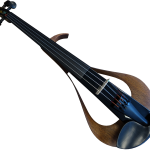 The reviews out there for this product feature a lot of guitarists, but also people who have used this for other instruments including violins. Most of the reviews are favorable, and generally we think that while it doesn’t set the world alight, this is a solid amp and is one of the cheapest mini amps, meaning it is good value for money and great for those on a budget. It packs a bit of power and it is great that it has an overdrive setting, something not all of these little models have included, and it means you can have fun with the sound and put effects on without having to lug around an overdrive pedal. Another benefit of this amp is how cool it looks! We don’t usually judge just based on looks, but lets face it if you’re taking it busking you want something that has a good look to it, and the retro, 50s and 6os American diner sort of look is an added bonus. Lots of Danelectro gear has a cool look to it, and the Honeytone N-10 is no exception. This tiny Marshall looks like a toy model of its other guitar amps, but its no toy, and can do a decent job of providing portable power for your electric guitar. It weighs just 0.34 lbs! It is absolutely tiny, but don’t let that fool you into thinking that the volume is non existent, and considering its size this thing definitely provides an audible signal. The MS2 is a decent option for those of us on the go. Now it is only 1 watt so don’t expect it to wake the neighbors, but for just being able to play your favorite songs and get those riffs perfected this is good enough for home use. It has an overdrive mode, tone control and a headphone jack, and generally the consumer reviews are positive. One thing I’ve found to be the case with the MS2 is people being so surprised at what it can do. To look at it, you might be forgiven for thinking this is a gimmick or novelty product, but it really isn’t. If you look at the MS2 being used in the video below you’ll see that the tones are actually pretty nice and clear, the overdrive is awesome and for something so small, the volume isn’t bad either. This is a surprisingly good product which lives up to the good Marshall brand name. 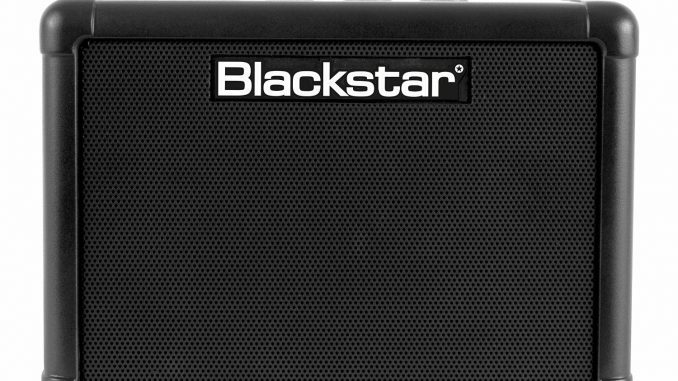 One of the companies who have perhaps a bit more recently become big players in the world of amplification is Blackstar. The FLY3 is a small (though not as tiny as some of its competitors) battery powered mini amp. It has pretty clearly been designed with playing it on the go in mind, and is great for busking and street performance as well as band practice and much more. A few of the features which really make this stand out are the line in, allowing you to plug an MP3 player, iPod or just about any other digital media device into it. You can even jam along to backing tracks. The designs are awesome, this comes in a range of colors and even with a union jack flag design on one of them, so if you want something that looks cool to take out with you, consider this one. A digital tape delay sound is another very cool addition to the sound, and it packs a punch for a small model of amp. Just like other models mentioned, this can also be used in overdrive mode. The Blackstar FLY3 can be battery or DC powered so it is a good option for home and out and about. 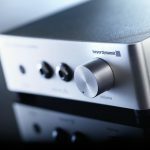 Reviews are generally positive and it certainly doesn’t cost the earth, hence it making our list of top amplifiers. We haven’t mentioned these in our reviews, but guitar headphone amps are another good option and a very similar product. A guitar headphone amp basically takes the signal of the guitar coming out of the jack and amplifies it to a level whereby you can put headphones in and listen. It is sort of an adapter to allow you to listen to your guitar via headphones. A lot of large amps have this function and a headphone out port, but this is the portable option and is amazing for practicing and just not annoying the neighbors. As always, what is best for you may not be best for another musician. 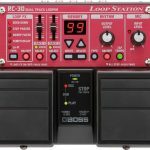 The top mini amps all have some things in common (clear sound, easily portable) but they do also have different features and your decision may come down to whether you want a delay sound, how powerful you want it to be or whether you need to line in a tablet, mobile or other electronic device. The above models have all been selected based on not just our opinions but having looked at many of the reviews online from musicians and other consumers, and we recommend all three of the amplifiers mentioned depending on your own specific needs. All of the brands have rich histories and have made some incredible audio products, so hopefully you’ll be up and running, ready to play your favorite tracks on a portable amp ASAP.